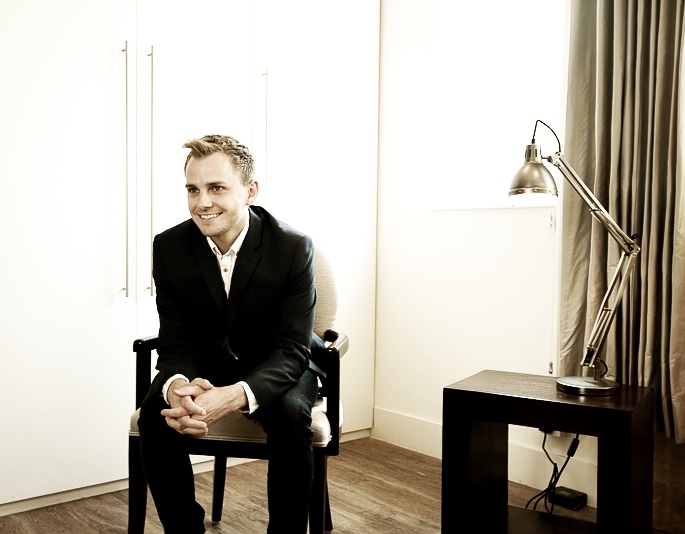 Max Prychidko has been the cornerstone of the ani M INTERIORS design studio from the very start. Today, as head of design, his work is influenced by his love of the classic and contemporary city around him – everything from the gothic arches of St Pancras station to the gleaming angles of The Shard. There is no typical day for me and that’s something I really enjoy; it does mean I have to plan my time well though. I try to get the less exciting things such as catching up with emails and admin paperwork out of the way in the morning. There are often fabric and wallpaper suppliers visiting the office to keep us up to date with trends, new collections and products. In fact, sourcing the perfect finishes, products and accessories for a property is one of my favourite parts of the role. Another is adding the final touches to a project and seeing the client’s delight on completion. How do you choose furnishings? Keeping up to date with trends is a must, but the decisions ultimately depend on the type of project and factors like time, budget and quality. We are lucky to have such a huge range of suppliers to work with so it means we will always be able to meet the needs of the client. What was the last interior design trend that inspired and excited you? I’m thrilled by the lush, verdant Amazon trend – it’s very big this season. The relaxed, tropical feel is perfect for the hot weather and has coincided beautifully with this summer’s Olympics and Paralympics. The vibrant colours, natural materials and bold leaf prints brought the energy of Brazil straight into your home. What element of interior design do you enjoy most? That it is constantly evolving; there’s no limit to what direction design will take next. What’s your favourite piece of architecture and why? London’s St Pancras and Kings Cross station. It’s an architectural masterpiece and an iconic gateway to the capital and Europe. The recent modernisation also shows just how much 19th and 21st century architecture has evolved. Van Der Rohe. The Barcelona chair is my all-time favourite piece of furniture. What’s your favourite museum and why? I couldn’t name my absolute favourite – that’s not fair! I enjoy visiting the Saatchi Gallery on London’s Kings Road regularly. It’s a great place to see contemporary artwork from lesser-known artists; I much prefer to look at modern art. That said I recently visited the Salvador Dali museum in Spain and found it a unique and fascinating experience. Where else do you go to feel inspired? I like to travel as the world is such an inspiring place. For me however, it’s central London that wins every time. It’s my home town and always evolving. Just compare the elegant architecture of Regent Street with the 1970s concrete of the South Bank Centre or with the sharp angles of The Shard; distinctive, unique, indicative of the era they were created and both loved and hated. I live close to Richmond upon Thames. On a beautiful summer’s day, nothing beats a long leisurely walk along the river. I am a true believer that interior design should be retrospective and aesthetically pleasing to the style of building you are in. I live in a new-build apartment and therefore I have kept things minimal, comfortable and modern. If you found yourself on a desert island, what three things would you take with you? A photograph of my family, a sun umbrella (I am not a fan of sunshine) and finally, water. If you would like to see how the design talents of Max and his team could bring beauty and style to your interior then get in touch today.